You have added Leaf It To Me Lace Sheath Dress in Blue/Pink into shopping cart. This cute sheath dress is nothing short of classy! 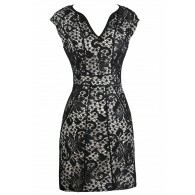 The Leaf It To Me Lace Sheath Dress is fully lined. It has a unique leaf pattern in a muted blue and pink color. It is sleeveless with a high modest neckline and a sheath cut. Vertical piping creates a flattering look. A hidden back zipper completes this dress. This dress is perfect for the country club or any social event. Pair this with cute sandals or wedges for a unique preppy look that’s classy. Details: Fully lined. Hidden back zipper. 100% polyester. Hand wash cold. Do not bleach. Hang or flat dry. Low iron. Small measurements: Length from shoulder to hemline: 33”. Bust: 32”. You have added Leaf It To Me Lace Sheath Dress in Blue/Pink into Wishlist. You have added Leaf It To Me Lace Sheath Dress in Blue/Pink for Stock Notification. You have set Leaf It To Me Lace Sheath Dress in Blue/Pink as a loved product. You have removed Leaf It To Me Lace Sheath Dress in Blue/Pink as a loved product.